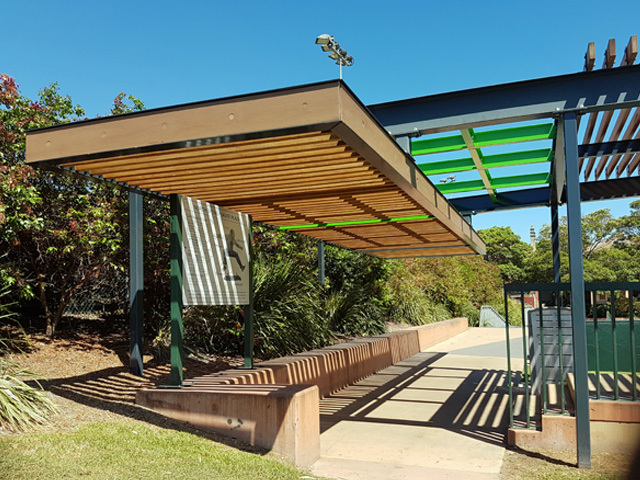 Utilising years of industry experience, Strabe Group was able to engineer and install an architecturally crafted shelter that provided coverage and created a new sense of identity for the Cammeray Skate Park. As a design-focused manufacturer, StraBe Group is devoted to “inspiring urban space” through innovative and timeless solutions. Beginning as a family-based engineering and metal-processing company, StraBe Group has since evolved into a global design, manufacturing and consulting firm for the urban and public infrastructure environment. Over the years, StraBe Group has built a reputation as a trusted partner for distinctive urban and public infrastructure projects and continues to furnish some of Australia’s most prestigious public domain projects. The company provides a comprehensive service — whether a standard, modified or bespoke product is required, you can count on StraBe to have the experience to make your urban or landscape project a success. Want to make a statement with a unique shelter? 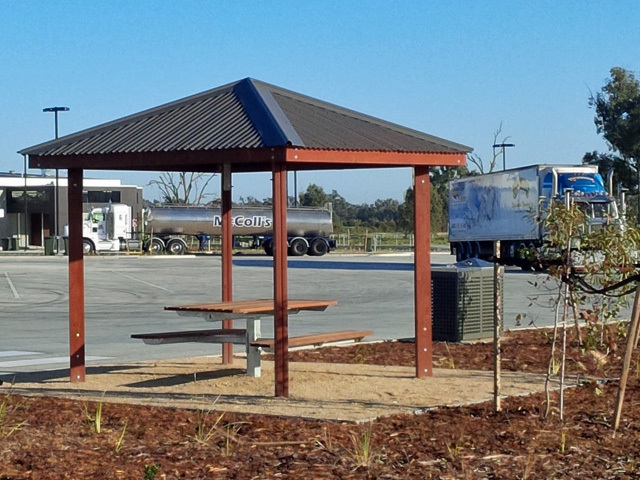 StraBe Group has designed, manufactured and installed countless shelters across Australia. Regularly asked to work with architects and designers to provide cost-effective solutions to sometimes complex designs, StraBe Group has the experience to work with bespoke designs and create architectural masterpieces. An example of this is the Cammeray skate park in North Sydney. 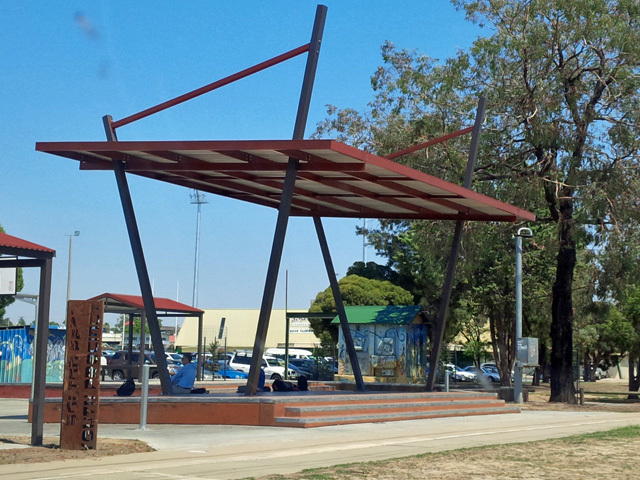 StraBe Group worked with the council to manufacture, engineer and install this architectural structure. 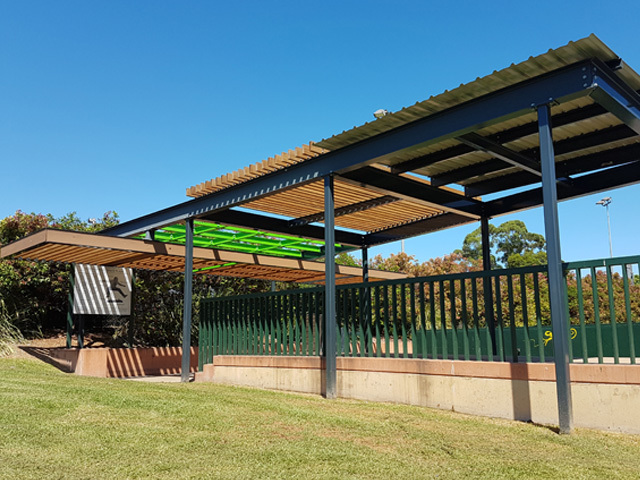 Created as a place for users to escape the heat and seek shelter, the open latticed design prevents the skate park from becoming a secluded hub away from the rest of the park. The open design also allows for air flow to cool the space. Understanding the dynamics of a space and creating structures to suit are some of StraBe’s industry strengths. The company’s ability to personalise designs means that no project specification is unobtainable. In an era where design is constantly evolving, choosing a unique shelter can be as easy as selecting one of StraBe’s standard designs and personalising it. This personalisation process could be as simple as a change of material, roof extension, specialised colours or, for added effect, clients can add exotic features such as an architectural timber screen, customised lighting or laser-cut panels. 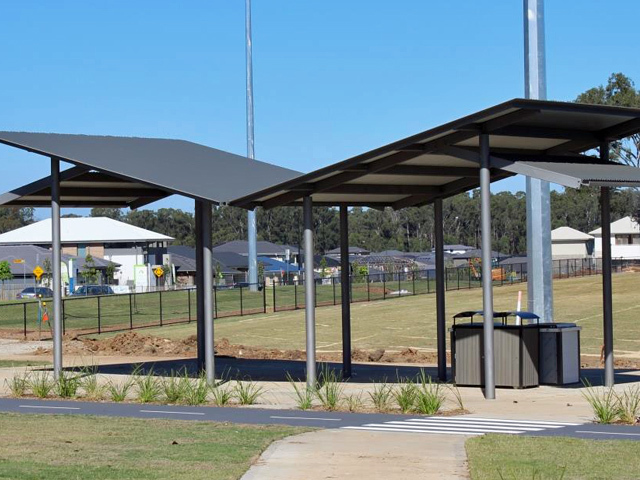 No challenge is too big — by selecting a StraBe shelter, you can add a touch of individuality to achieve the result that best suits your project and budget.